Best practices for monitoring API usage? Hello All - This week, my company has integrated with Hubspot and Salesforce for Outlook. Now, I'm getting errors that the apps aren't able to sync due to our API limit. I've scoured the answers page, but I'm not finding answers to the below. Can anyone assist? I am the admin and we're running the professional edition. 2. Where is the best place to monitor my API usage? The system overview just gives me a bulk number. I'd like to see it by application. There are rumors around of a report living in the Administration Reports, but I don't see anything in there for API. 3. If I do need to increase my API limit. Can I do that myself in Salesforce? What is my actual API limit? Where is the best place to monitor my API usage? >> The API Usage in Last 7 Days Report to the rescue! If I do need to increase my API limit. Can I do that myself in Salesforce? >> Yes. BTW did you see this - How to adjust your Salesforce API call limit (http://knowledge.hubspot.com/salesforce-integration-user-guide-v2/how-to-adjust-your-salesforce-api-call-limit). 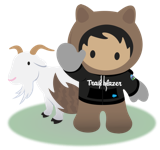 Open a Case** with Salesforce and they should come back to you(remember that increase in limits comes with a fee that you'll know from the Support). You can see your API limit on the System Overview page. There is an Admin Report called "API Calls Made Within Last 7 Days" which will show which user is using the API calls, and then you can check the user's Login History on the user detail page to see what apps that user is using. You can schedule the API Usage report so it is sent to you every day. If you decide you need higher API limits, your Salesforce AE can help you with pricing. Thanks guys. I'm still lost on the report part. As I noted above, I don't have that report in the administrative reports file. Here's a screen shot.